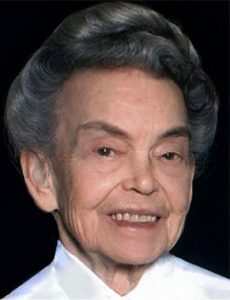 Betty Jo Radelet DC, ND, honored with NCNM’s inaugural Living Legend award, the first NCNM naturopathic female graduate, and the namesake of NCNM’s Radelet Hall, died in her sleep at the age of 95 after a long battle with cancer last Wednesday, June 8. Dr. Betty was widowed with seven children when she was 41. She was determined to enroll at Western States Chiropractic College (now University of Western States), where she completed her doctorate of chiropractic degree. She enrolled at NCNM and earned her doctorate in naturopathic medicine in 1968. She practiced medicine in Washougal, Washington, for nine years and in 1980 opened a clinic in Beaverton where she lived. In her private practice, Dr. Betty specialized in physical medicine while serving as the primary care physician for many families. A devoted Nature Cure practitioner, her philosophy and practice highlights are chronicled in her book, Antidotes and Anecdotes, Forty Years of Smiles and Tears in Natural Health Clinic, which she published in 2009. When he awarded Dr. Betty the Living Legend Award in 2010, NCNM President, Dr. David Schleich expressed his gratitude to her for her lifetime of service and selfless contributions in the advancement of naturopathic medicine.